Summary - Matching numbers car in original Big Bad Blue. 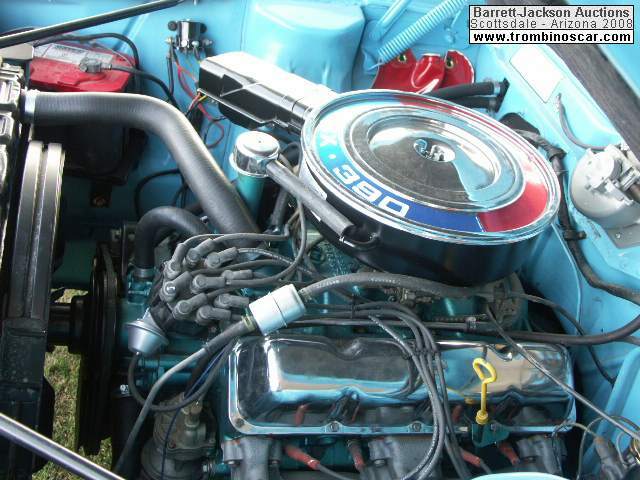 390 engine with a 4-speed with Go-Pack. Nice light restoration. 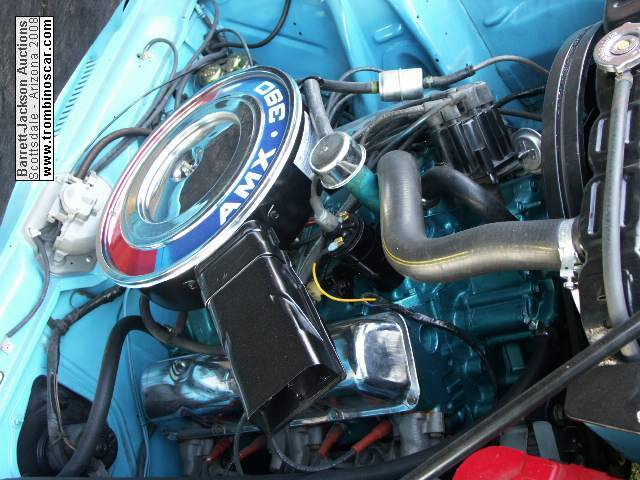 Description - There's only one way you would order a 1969 AMX. That's with the Go-Pack high performance package. Anything else was just a 2-seat muscle car poseur. The Go-Pack equipment offered a choice of two engines; fast and real fast. This one is equipped with the real fast 390cid; developing 315hp with 425 ft/lbs. of torque. Some buyer's chose the automatic transmission. Not this buyer. He kept the standard close ration Borg-Warner T10 4-speed transmission. Also specified was the Twin Grip 3.54 axle package. 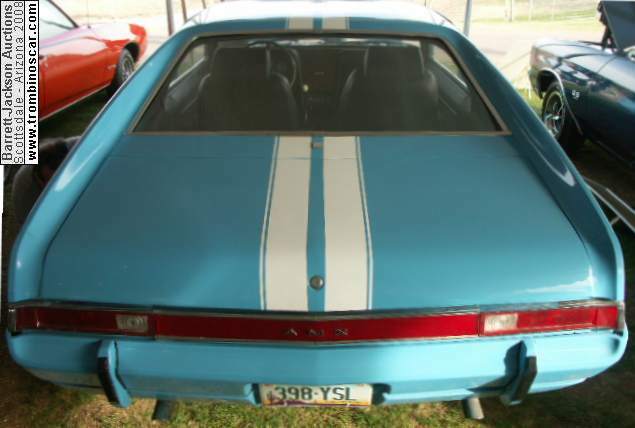 But this AMX has something even more special. Somebody wanted to get noticed in his new AMX. 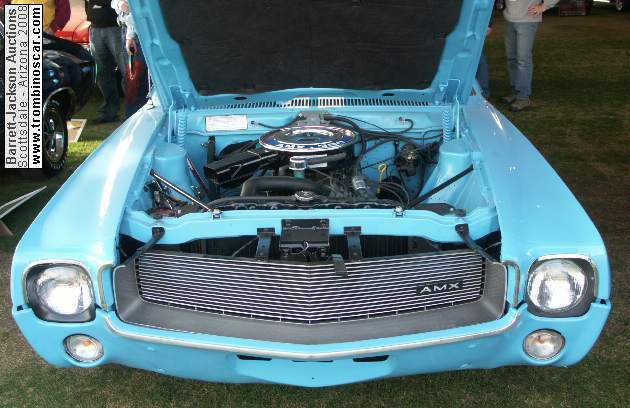 You're looking at 1 of only 195 AMX's ever produced with special paint code "2A" which included the unique monochromatic bumpers; better known as Big Bad Blue. This is the rarest Big Bad color produced by AMC. 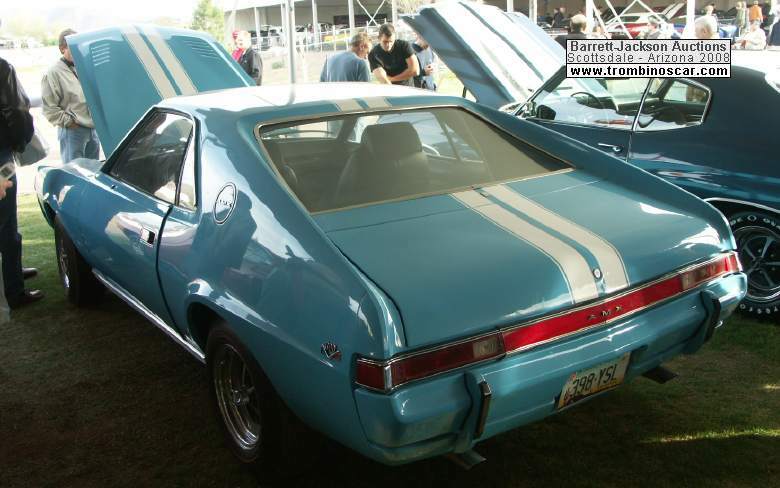 Presently, there are only 11 BBB 1969 AMX's listed in the Big Bad Javelin/AMX Registry. And this BBB AMX is not only full of the premium performance features, but it is also beautifully accented by the optional Dark Charcoal interior. 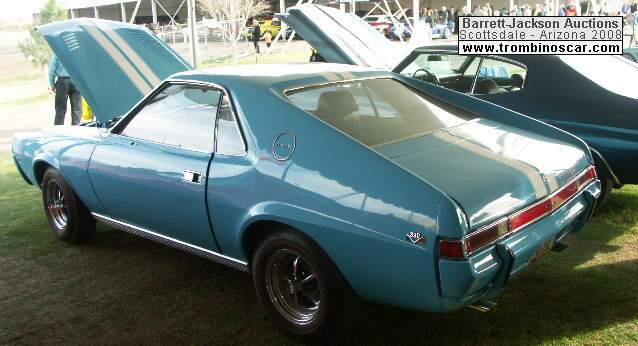 Coming or going, there's no mistaking this AMX as an extremely rare piece of automotive muscle car history. This original piece of AMC history has the original engine, transmission and rear axle and is Box A original 78,800 miles. This BBB has only received one repaint in its life. 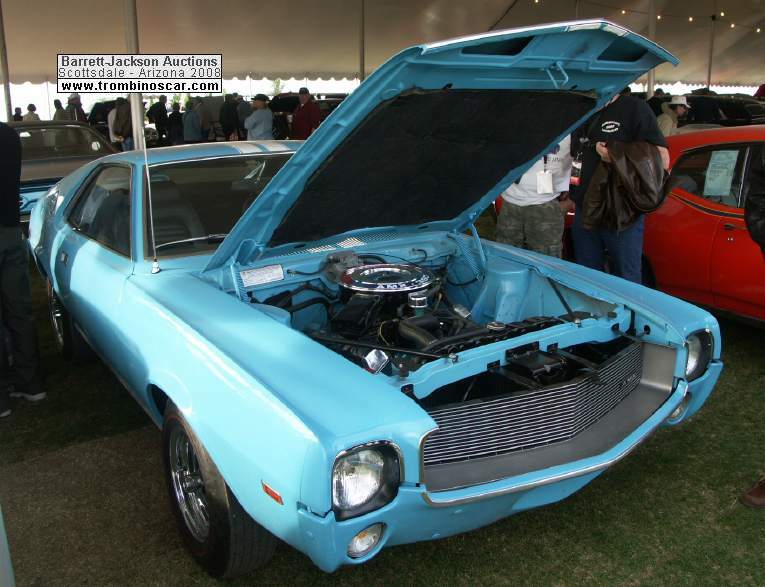 Check out the features of the AMX: 1969 AMX - 1 of 8,230 produced; 1 of 3,620 produced with the 390, 4-speed; 1 of 2,810 with charcoal interior; 1 of 195 with Big Bad Blue "2A" paint code. Data is not available to break down "2A" paint code with drivetrain as any of the 195 AMX's built with BBB could have had the available 290, 343 or 290 engines. Go-Pack package included the following: standard 343 of optional AMX 390 engine, power disc brakes, E70 x 14 redline tires, Twin-Grip axle, special handling package, 7-blade flex fan, HD cooling, 140mph speedometer, 8000rpm tachometer, space-saver spare and over-the-top roof striping. Rarity aside, this AMX offers a unique opportunity to enjoy one of the best looking, accelerating and handling muscle cars built from an era where muscle cars dominated cruise sites and drag strips from coast to coast.